The roof in these photos is MY roof! We recently purchased this home and I was able to use the horrible condition of the roof to get $5,000 off the asking price. How about that.. I saved $5k and the seller lost $5k. As you can tell in the photos the area is very wooded and gets only some sun. The roof is original to the home of 25 years. So the algae, moss and lichen were on the shingles for a long time. The after photos were taken a few days after the project was complete and what a difference. The roof looks brand new! Oh by the way did I mention the seller lost $5k. If he would of had the roof cleaned by Squeegee Klean he would of only been out of pocket $500 and not $5000. If your home is suffering from the “Black Plague” give me a call NOW! 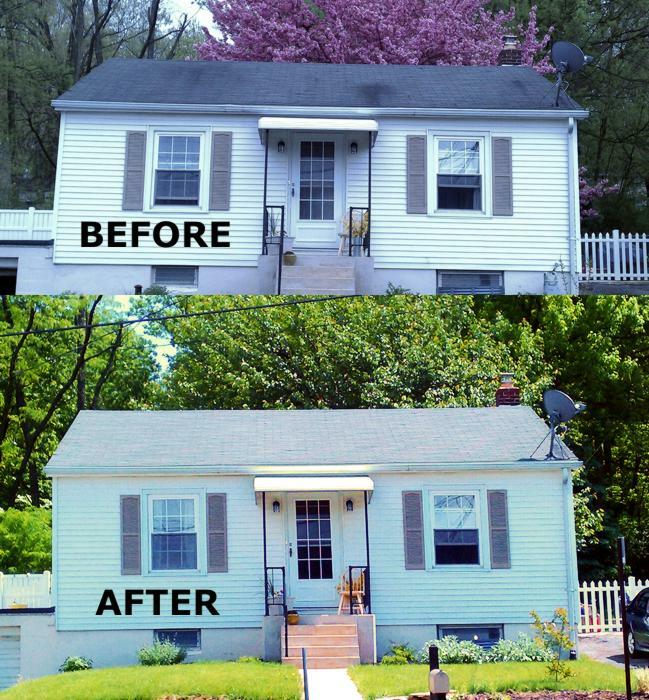 Unsightly black stains or streaks on asphalt shingles are caused by a hardy type of algae called Gloeocapsa Magma. The algae feeds on the crushed limestone that is used in asphalt shingles. 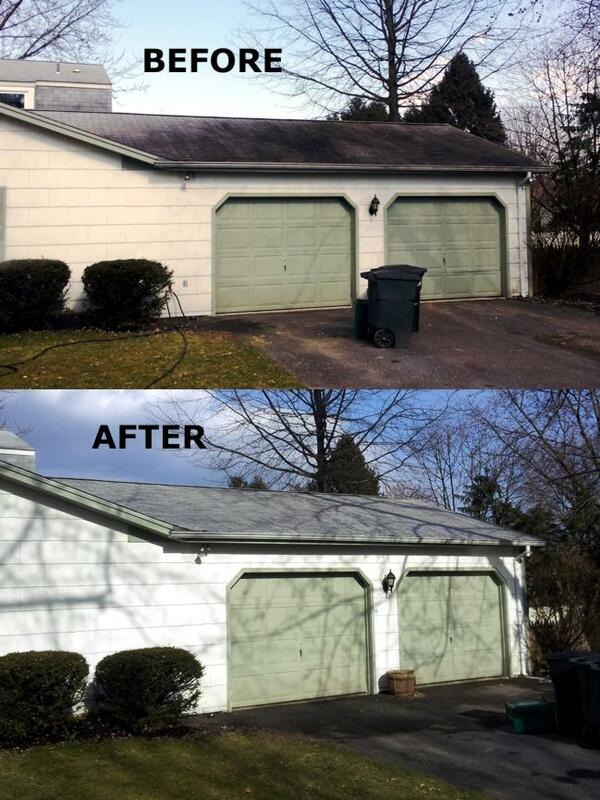 Rain spreads the algae down the roof causing the black streaks. You will probably notice that these stains are mainly on your north and east facing roof lines. Algae is a living and growing organism that feeds off moisture. These streaks are not only unsightly but cause the shingles to fail prematurely by not allowing the shingles to reflect heat properly. This type of algae can also be spread from roof to roof by mother nature. Not because of their functionality. 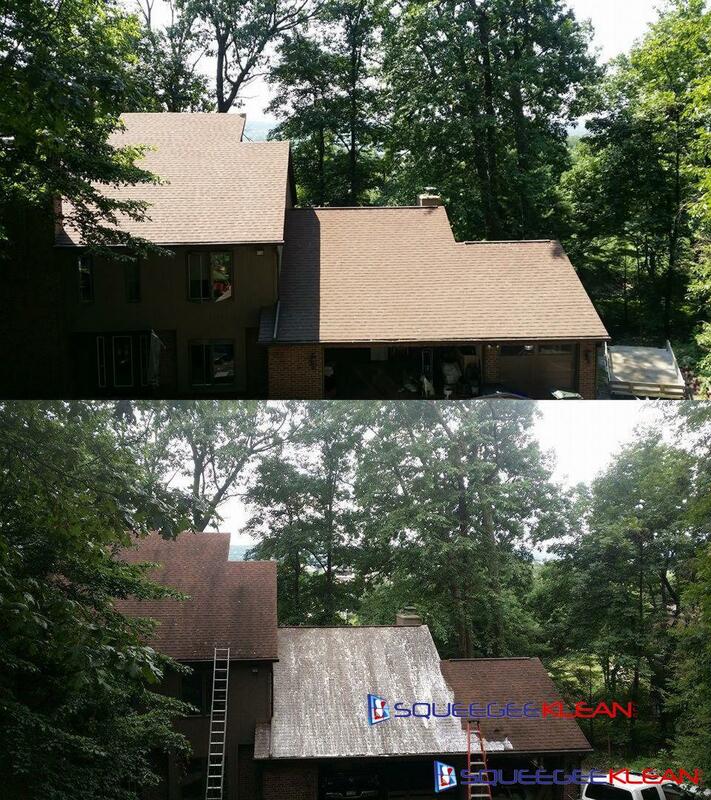 Many of the roofs that are replaced only needed cleaned. Just as mold and mildew can grow on your vinyl siding, windblown algae can land and grow on your roof. Replacing your roof because of this algae is like replacing something that is not broke; it just doesn’t make sense. Some roofing contractors don’t know what these black streaks are, saying it’s the asphalt showing through the shingles or that it’s water stains. Some contractors may know it’s algae but tell you it can’t be cleaned without damaging the shingles. In either case, they may tell you that the roof needs replaced. This is not true if your shingles are still in good shape. The algae can be killed and removed properly without damaging the shingles using a low pressure chemical application (recommended by shingle manufactures). 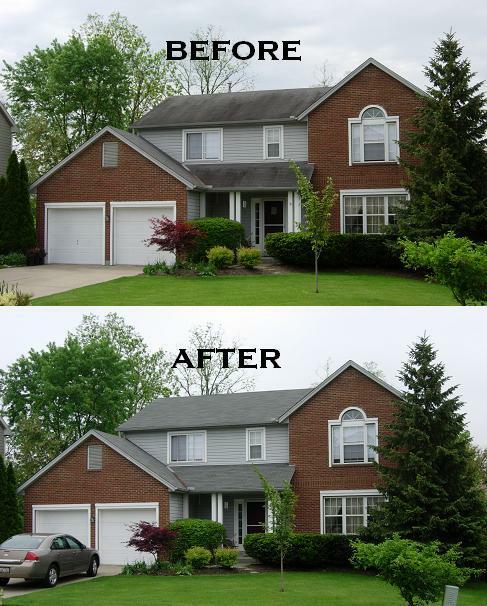 Squeegee Klean uses a low pressure cleaning procedure for roofs that will not damage the shingles and will remove those unsightly black streaks, algae, mold, dirt etc. 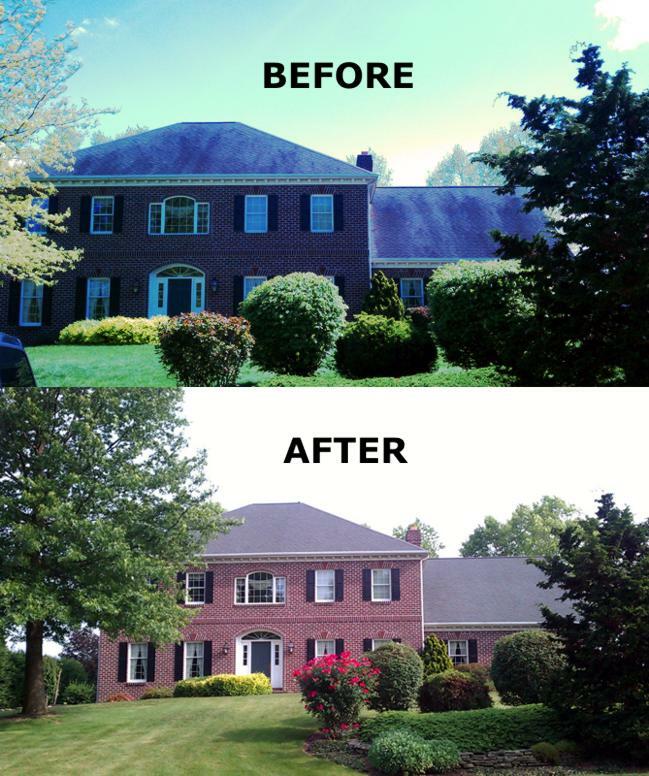 Roof Cleaning Is Recommended By Shingle Manufacturers. Companies like Owens Corning and GAF, and also the Asphalt Roofing Manufactures Association recommend a low pressure chemical application using certain cleaners to restore shingles suffering from roof algae, followed by a low pressure rinse. We use the cleaners and methods recommended by these companies, for a safe and damage free roof cleaning. If your shingles are still in good shape but have roof algae on them, having your roof cleansed will allow you to get the full life out of your shingles, saving you thousands of dollars. Call us today and we will come out to your residence or place of business and give you a free analysis.